Download press kit via Google Drive ​here. Banda Sin Nombre is a five-piece band from San Francisco's Mission District dedicated to performing folk music from around the world. 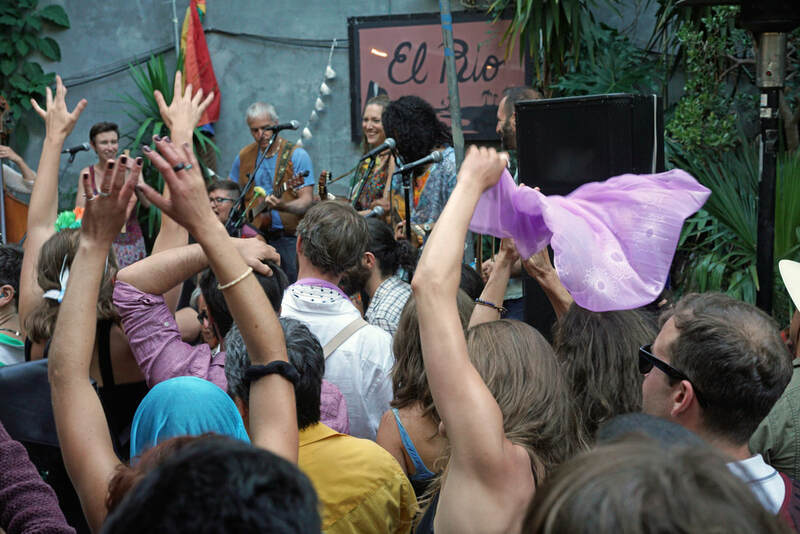 Mixing rich vocal harmonies with acoustic instruments including guitar, fiddle, charango, cajon, and bass, the band's inspirations range from Peruvian Chicha to Catalan Rumba and Appalachian old time to Cumbia. 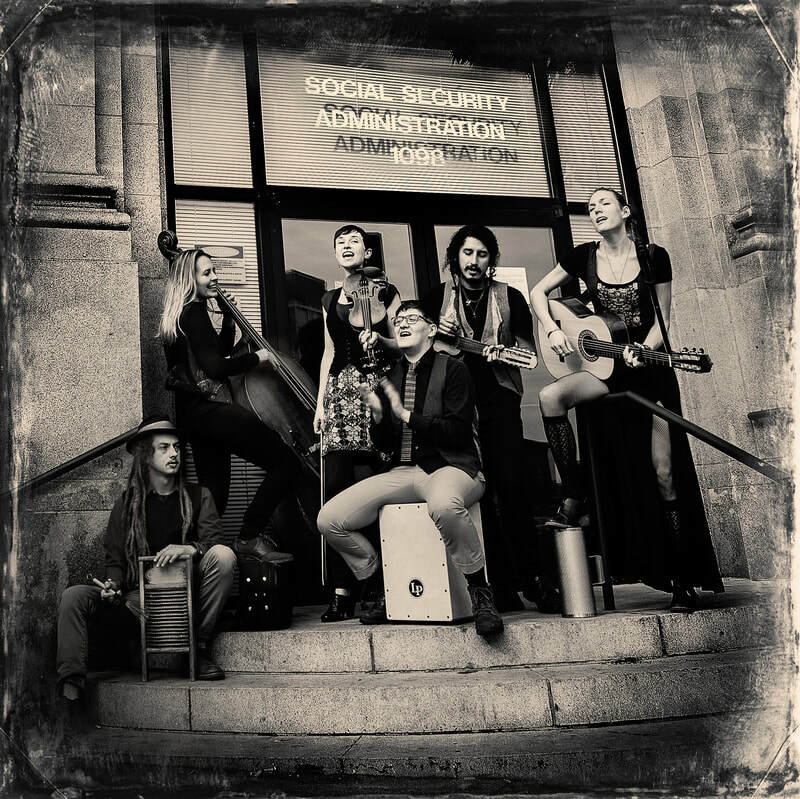 The band’s core members met in San Francisco in 2011 and played frequently at the steps of the Social Security Administration Building. 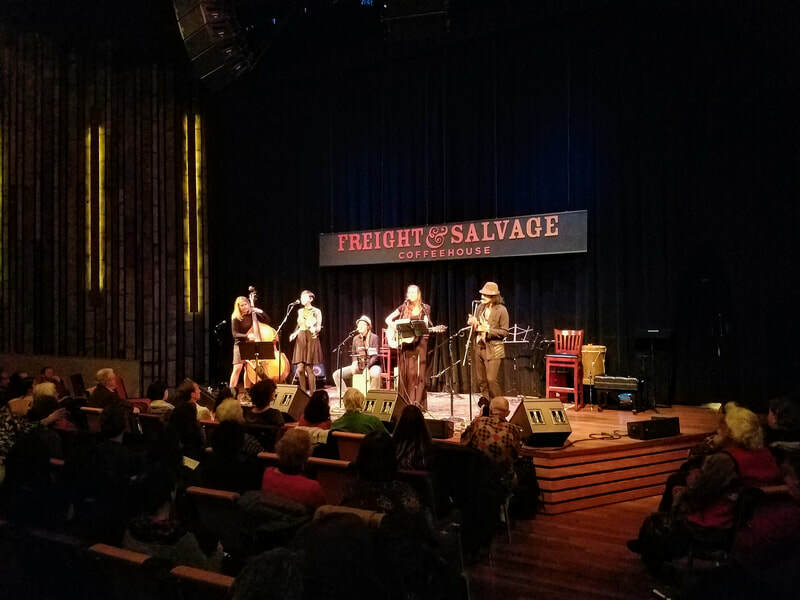 Guitar player and vocalist Hannah Gallagher was raised in a musical family in Costa Rica, and has studied a wealth of Latin American folk songs, American folk and blues, and Eastern European music. 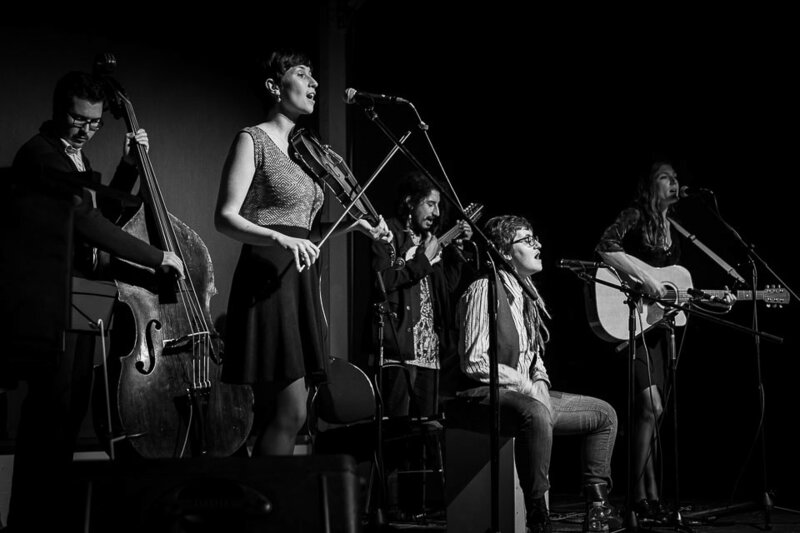 Fiddler and singer Kate Goldstein was raised in a bluegrass and old time music-loving home in Delaware. 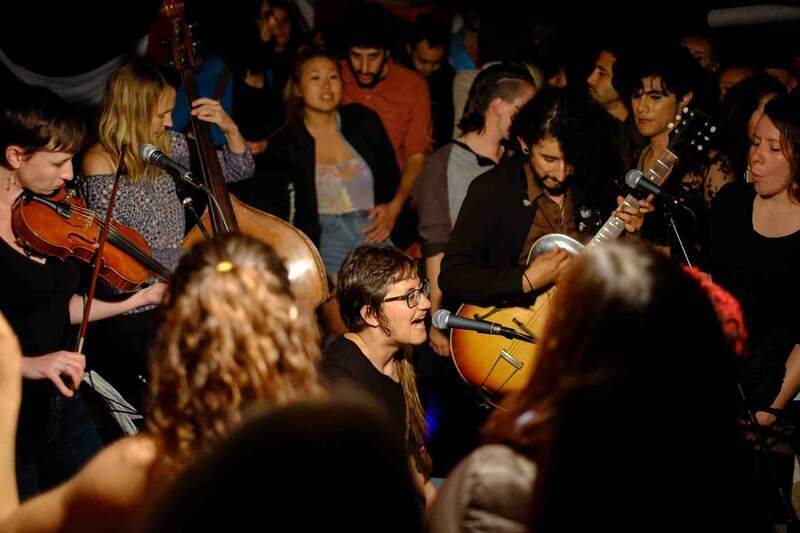 Cajon player and singer Eva Mas Silberstein was raised between Barcelona and the U.S.; her fluency in Catalan, Portuguese, French, and Spanish has added to the diversity of the band’s influences. 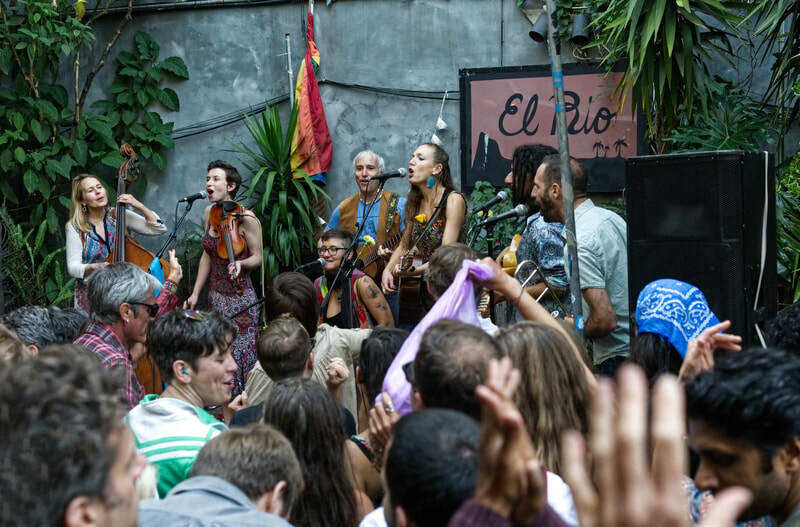 Since 2015, the band has grown to include charango player and singer Angel Rodriguez, who was raised in Los Angeles and has learned a range of Mexican, Peruvian, and other Latin American music. The fifth member, upright bassist Ashley Adams, was classically trained on the bass at the University of Arizona School of Music, and has played and toured professionally with a wide variety of folk, jazz, and experimental bands. Audio engineer Sean Fenton has worked with Banda Sin Nombre during live shows for several years, and mixed and mastered the band’s two albums. Banda Sin Nombre has built a following through gigs at Freight & Salvage in Berkeley, the New Parish in Oakland, MACLA in San Jose, and dozens of venues in San Francisco including The Chapel, Boom Boom Room, Amnesia, Cafe Revolution, Elbo Room, Brava Theater, Mission Cultural Center, Red Poppy Art House, and a monthly residency at Club Deluxe. The band has also performed at wineries and private events across California, and has toured internationally.